That they did at De Maaspoort in Venlo, Netherlands as New Heroes defeated Forward Lease convincingly, 99-64. 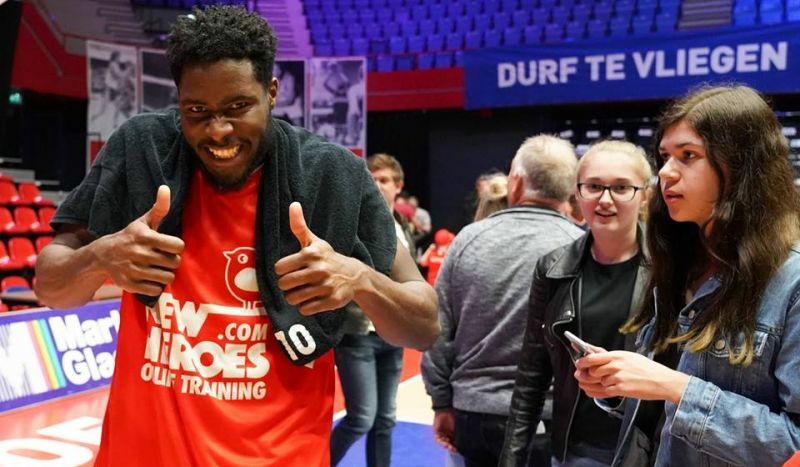 Carey, who was held to just 4 points by Donar Groningen, came off the bench to net 13 points and grabbed 8 rebounds in his 20 minutes of play. One of his plays, which saw him fake a player under the basket and executed with a dunk, made the top 5 plays of the game that was witnessed by some 1000 patrons. New Heroes had a fast start and led the first quarter 26-11 and were able to maintain the momentum throughout the game. 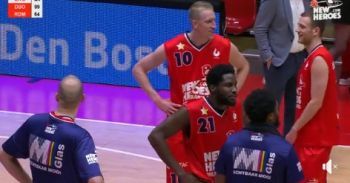 Maarten Bouwknecht had a game high 22 points for New Heroes while his teammate Kees Akerboom scored 20 and Mike Miklusak 16. Trevor Setty, who scored 14, was the old Forward Lease Rotterdam player reaching double figures. Just so it go...that’s what I talking about my boy. The ability to bounce back.